Simply click the “Place Hold” button next to the item you wish to borrow, regardless of where that item is located, and it will be sent to MPL (or the library of your choice) for you. You’ll receive a phone call, email, and/or text when your item is ready for pick up. You may decide how you would like to be notified of your items’ arrival in your account settings. Start searching the catalogue now. *If you wish to search only in our Library, scroll down and select Mackenzie Public Library in the “Library” select box below the search bar. If you weren’t able to find the item you wanted through Interlibrary Connect, try finding it elsewhere in BC using Outlook Online, a catalogue for all BC libraries. If you find it at another library, ask our staff to have it delivered to the Mackenzie Public Library for pick up! How to search Outlook Online. 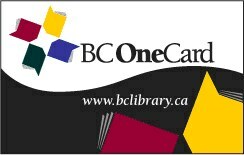 If you’re on the road and find yourself in another BC public library, you can easily borrow items. The best part is that you can return these items to any other BC public library, so if you’re traveling through BC, it’s easy to drop items off as you go. We call this program BC OneCard. For more information on how to do this, check our BC OneCard page (please note that borrowing policies may vary between libraries).